Doc decided to post a video about slow spring Bermuda grass growth and colder temperatures that often sneak in this time of year. When these cold fronts hit late, they don’t send Bermuda back into dormancy, but they do slow down new growth. Simply look for “fertilizer windows” and strings of warm days. 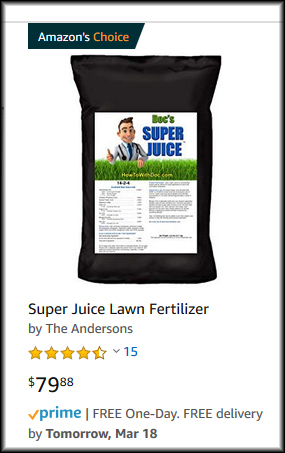 Apply the Super Juice. Click the pic below to see a treated and untreated lawn. The treated Bermuda grass lawn is about 2 weeks ahead of the untreated.